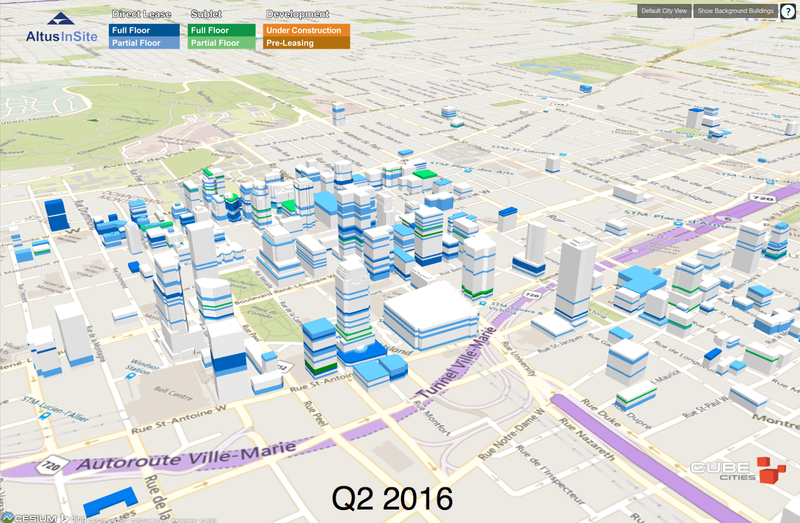 The video below shows a time lapse of changing office market conditions downtown Montréal from Q3 2014 to Q2 2016. This is a data product for the five largest Canadian cities that can now be provided by Altus Data Solutions. Note that this video hides all of the non-commercial buildings as well as the commercial buildings that do not have vacancy. Explore the Montréal office market here.